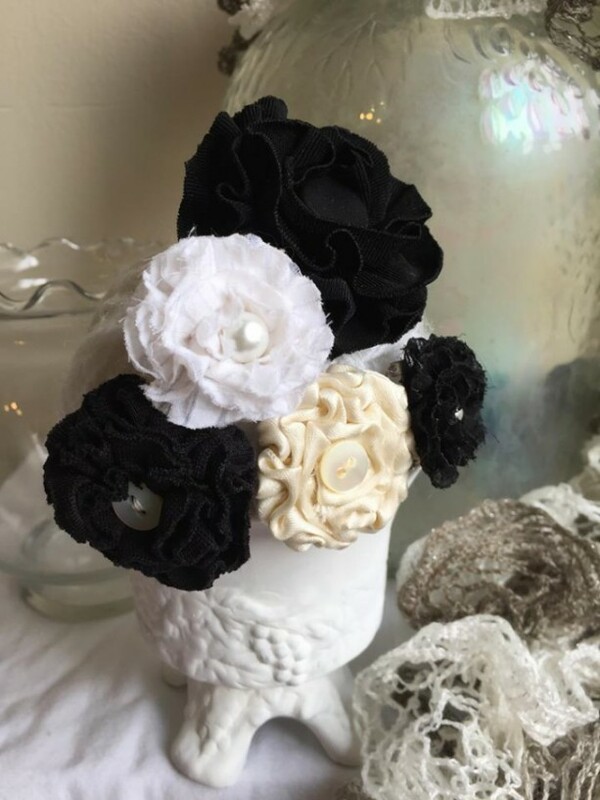 This set of black-and-white floral brooches - ranging in sizes from 1.25-inches to 2.5-inches - is a perfect addition to any wardrobe! Each pin is OOAK and truly unique, but coordinates perfectly with the rest of the pins in the set! (US only) Your order will ship USPS Priority Mail for speed and security.